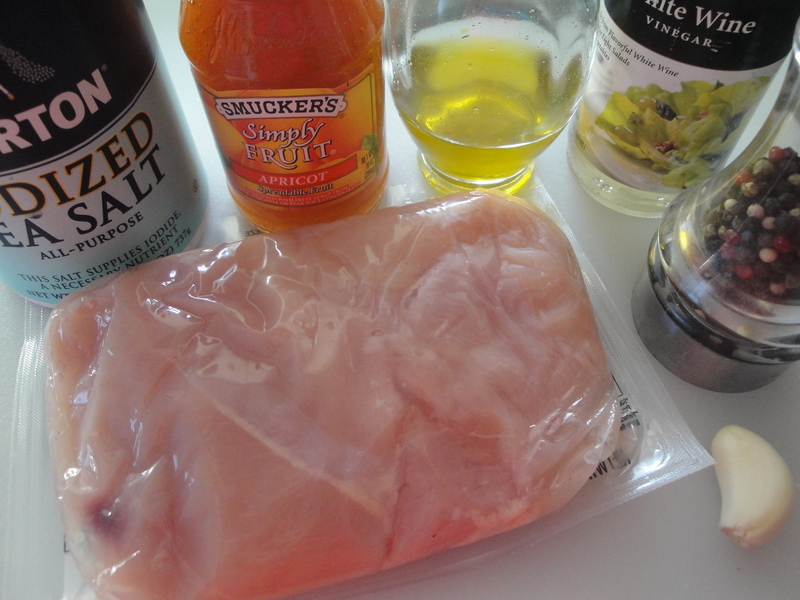 A mixture of apricot preserves, vinegar, olive oil, and garlic is brushed over chicken as it cooks making for a tasty, slightly sweet glaze. 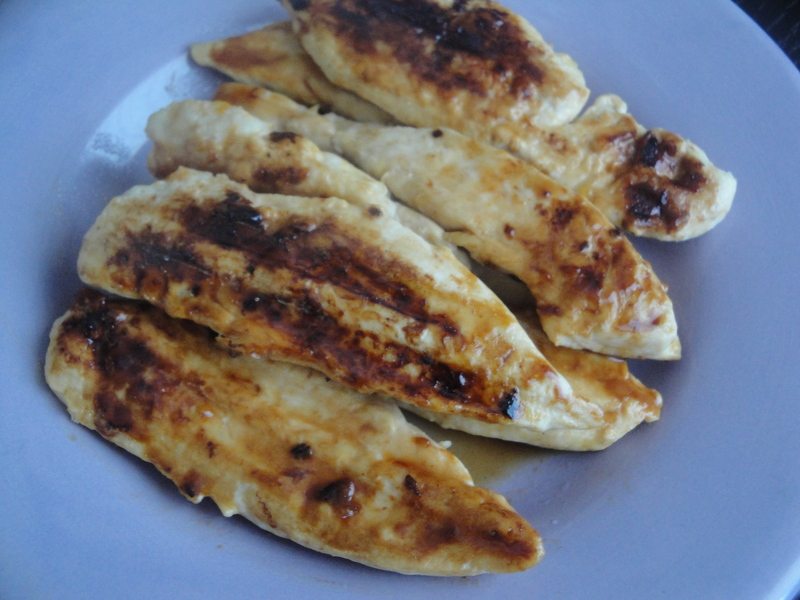 I used chicken tenderloins but you can use any chicken you like (the recipe uses chicken breasts, thighs, and drumsticks). Serve this with any vegetable, starch, or salad greens you like to make for a light and healthy meal. 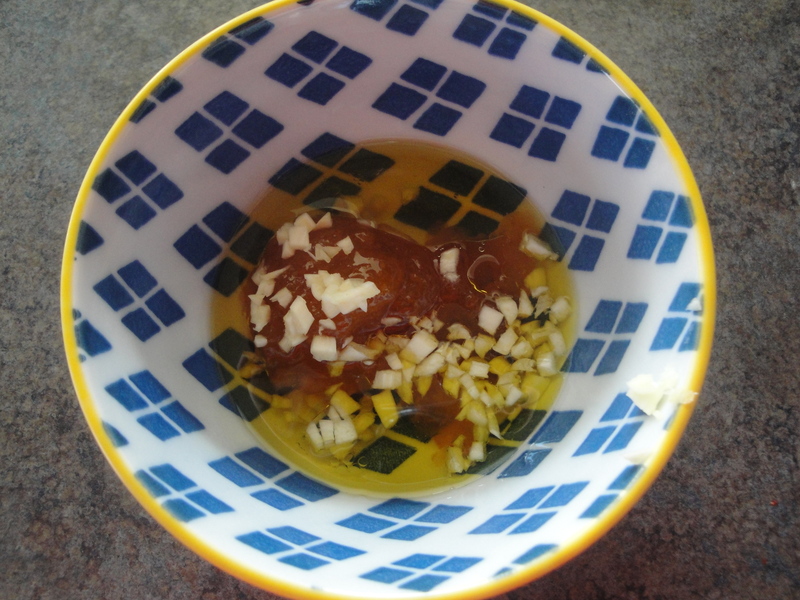 Combine apricot preserves, vinegar, olive oil, and garlic in a small bowl and mix well. Cook one side of the chicken on a grill pan and turn over. 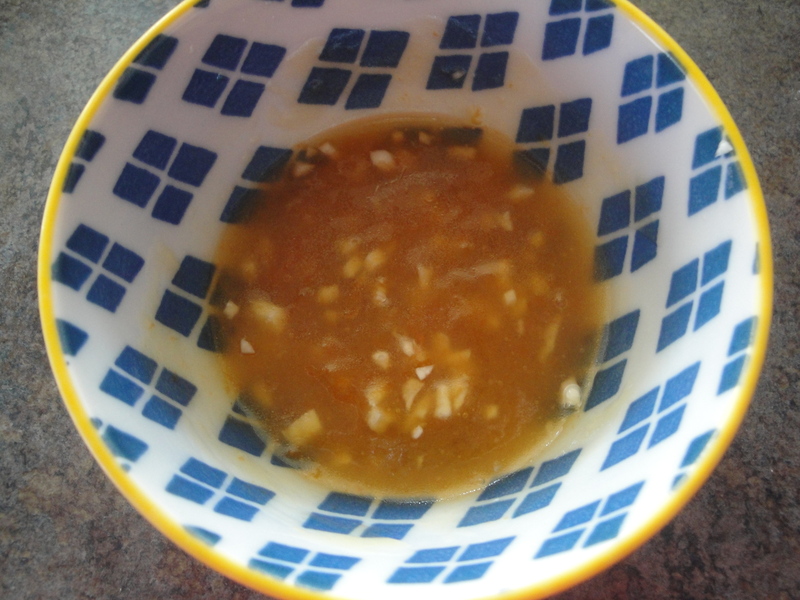 Coat the cooked side with apricot glaze. 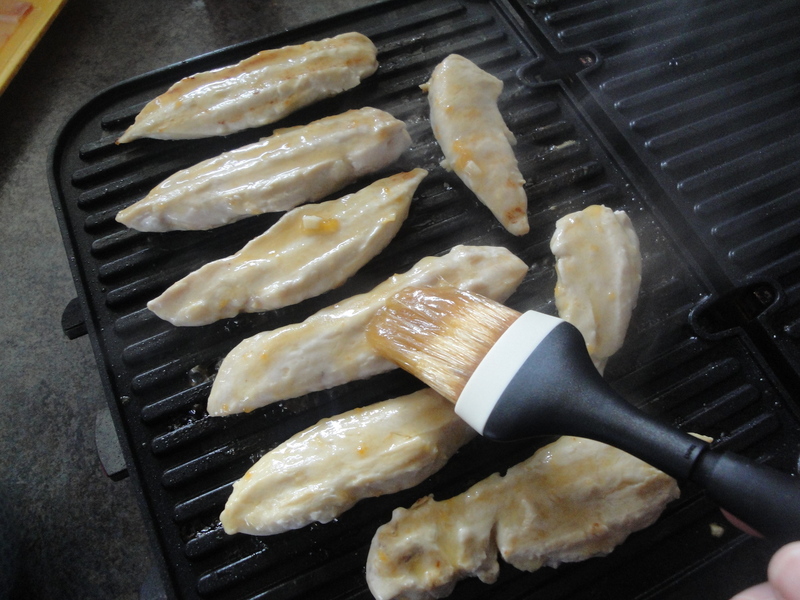 When opposite side has cooked, flip the chicken over and apply glaze to the other side. I flipped the chicken over one more time to make sure all sides with glaze were cooked. Consider using this glaze with bite-sized chicken or on skewers for the little ones or as an appetizer. 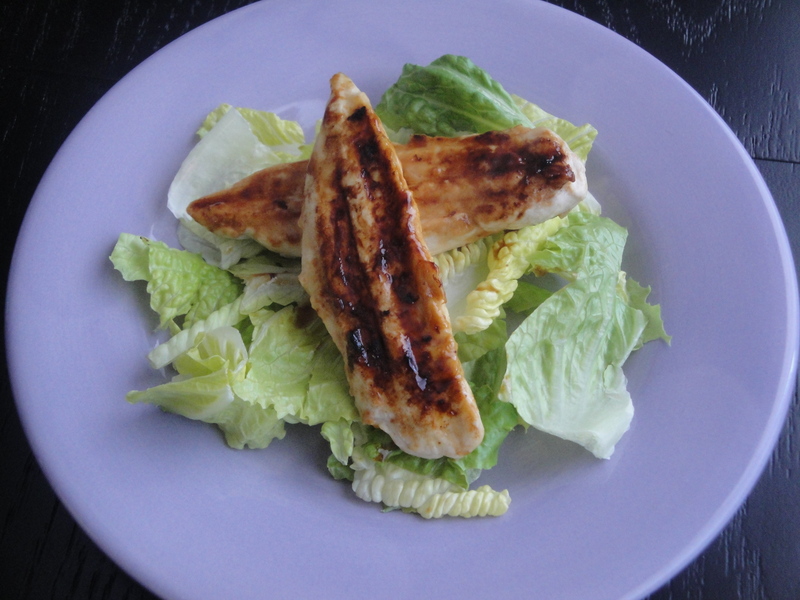 I tried this dish the glaze makes the chicken so good, you won’t want to share. So make double the amount and enjoy.